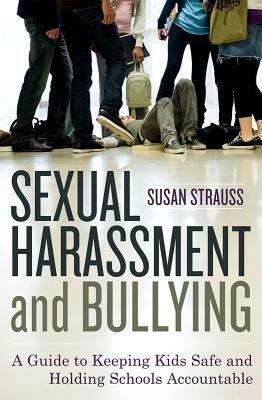 Susan Strauss sounded quite angry throughout this book and blamed all sexual harassment on men being patriarch's. I didn't agree with everything in the book but it was helpful in some ways. I liked the chapters on cyberbullying. Made me really want to be careful with letting my kids use Facebook and cell phones. The book is heavy on detail that I think only schools would need. This book is an invaluable resource for parents, educators and school administration officials. It should be a required reference for school districts writing code of conduct policies so their documentation can help support and protect students from sexual harassment and bullying. The opportunity for every child to focus on learning in school should be a given. Unfortunately, in our society it isn't since many students have to deal with peer situations that negatively affect their ability to learn.As an expert witness, educator and parent of a child who was sexually harassed, Susan understands all the issues involved and thoroughly details steps which parents and educators need to take to improve the system so children can be supported and learn wholeheartedly. The case studies are presented skillfully allowing difficult concepts to be readily understood. Any school educator or official interested in discouraging bullying and sexual harassment and providing a better environment for all students to learn should read this book and revise their policies where need be. Any parent who has a child that is being bullied or sexually harassed and is looking for information on how to get help for their child will find Susan's book a step-by-step guide on how to navigate the school district process, as well as what their rights are and what the school is legally responsible to provide for each child.In the back of the book Susan provides additional resources for parents and educators. If more school administrations used this in-depth book to create policies and hold others accountable, the students in our school systems would be better protected from bullying and sexual harassment and learning would be enhanced for more students.